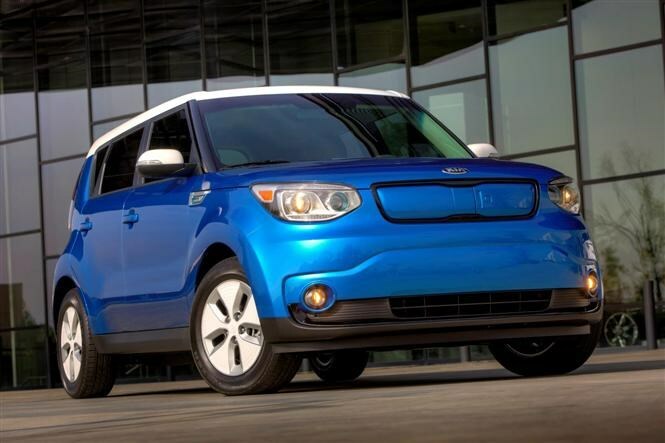 Making its European debut is the Kia Soul EV, which stands for electric vehicle. 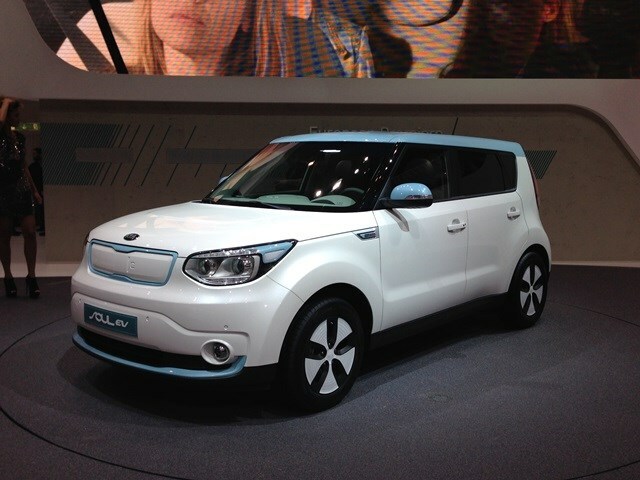 It’s Kia’s first electric car to be sold around the world and will enter production later this year. Its front wheels are driven by an electric motor with the equivalent of 109bhp and 285 Nm of torque – for context, the latter figure is a bit more than that of a 1.6-litre diesel VW Golf. With a range of around 124 miles from the battery pack when charged fully, Kia says the Soul EV is designed with city commuters in mind. The batteries haven’t eaten into the boot and cabin too much, so the Soul EV is still a practical car. What’s particularly impressive is that it still comes under the umbrella of Kia’s seven-year/100,000 mile warranty. You can read all about the regular, non-electric Kia Soul in our full review here and the upcoming facelifted version in our preview here. 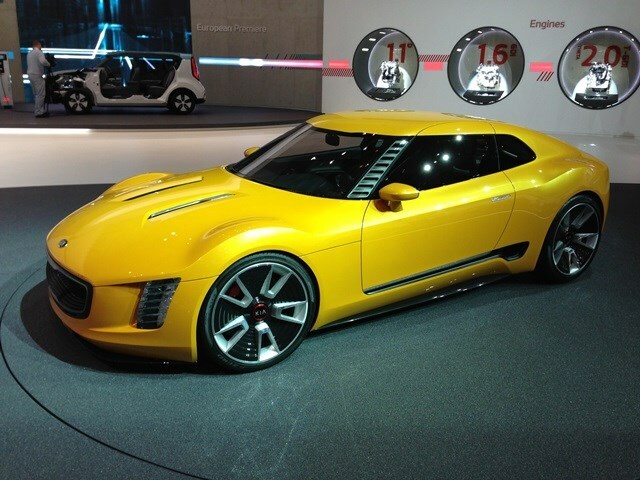 Also on the stand is the alluring Kia GT4 Stinger sports car concept. It’s already been on show at the North American International motor show in Detroit but this is its European premiere. A front-engined 2+2 coupe, its powered by a 311bhp 2.0-litre turbocharged petrol engine driving the rear wheels via a six-speed manual gearbox. Racing car-style double wishbone suspension and a ground-hugging stance suggest this is one Kia that would actually be genuinely fun to drive. 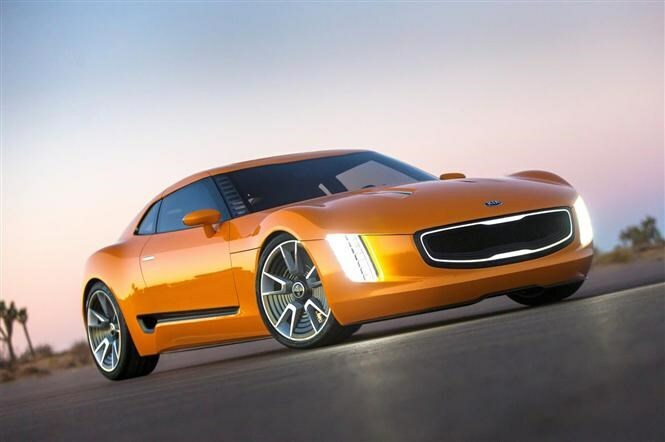 Kia isn’t a brand you’d normally associate with sports cars, but the Stinger, created by Kia’s California design team, looks to sprinkle a bit of extra desirability over the brand. Sadly there are no plans to put the Stinger into production but we can expect to see some of the concept’s styling cues on future production models.